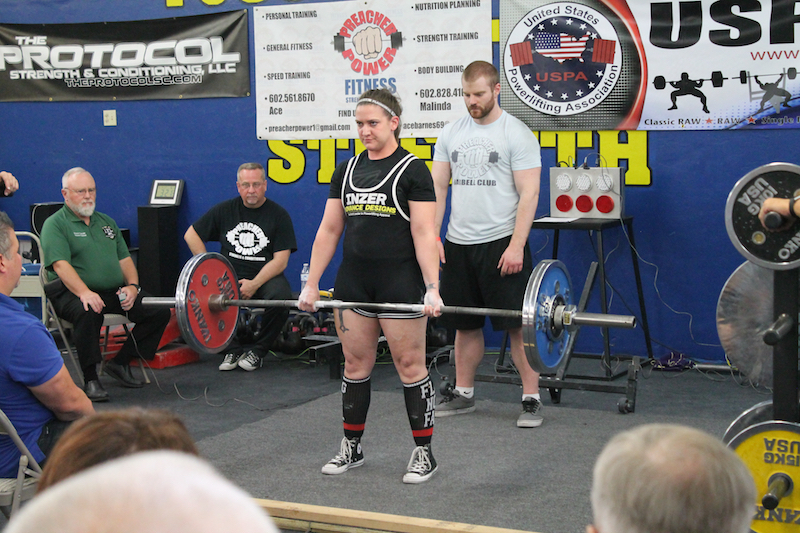 We pride ourselves in helping to grow the sport of Powerlifting in Tucson and Southern Arizona. 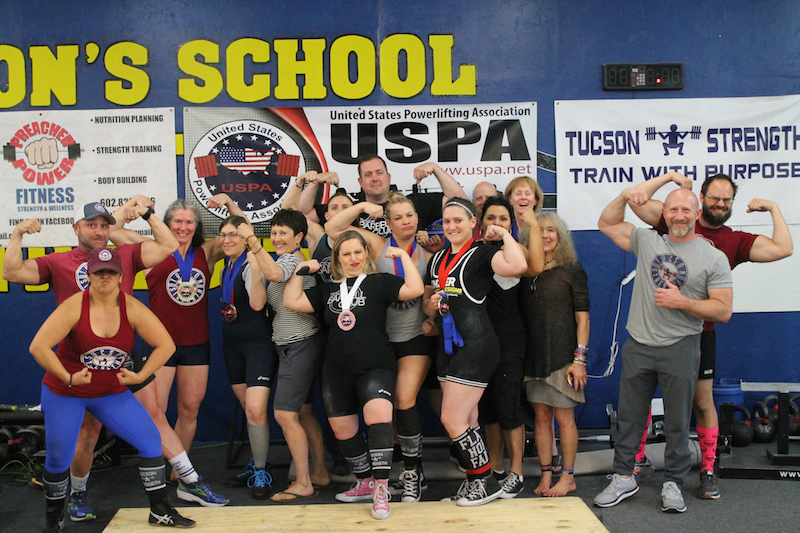 Prior to us holding our first meet here in 2014, powerlifting meets were hard to come by in Tucson. 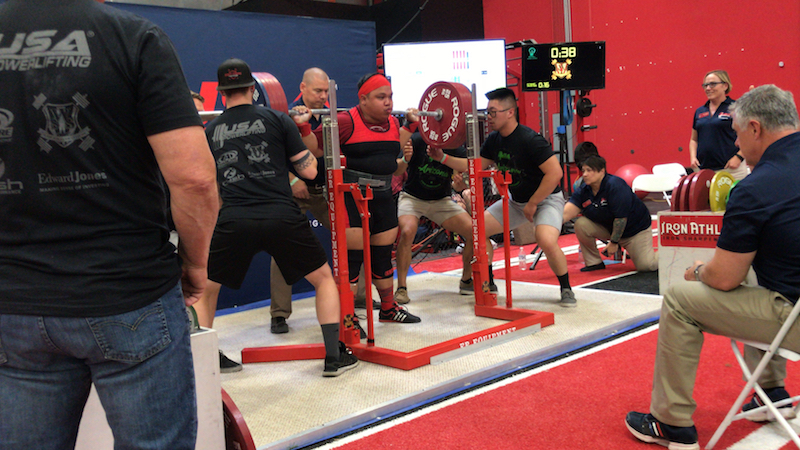 Since 2014 we have hosted over a dozen powerlifting meets in at our gym, and we have 4 USPA competitions on the books for 2019! 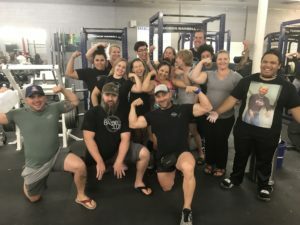 The Tucson Barbell Club is a branch of Tucson Strength that offers specialized instruction in Powerlifting and Strength & Conditioning. Whether you want to compete in the barbell sports or just take your overall strength to a greater level we offer professional coaching. You don’t have to be the biggest or the strongest to join, but you must have a passion to lift iron and train hard. Each of our programs offer professional coaching with a highly qualified staff. We have coached lifters from the beginner to those that have qualified for the national championships. As long as you can move well and have a baseline of strength we can help you on your journey. You don’t have to lift a ton of weight to be a part of our team, but you must have appropriate mobility and strength to safely execute the power lifts. For those that are not physically ready for Tucson Barbell Club Programs, we encourage you to first take many of our other programs such as Strength Club, Kettlebell, or Original Strength classes to learn the fundamentals of movement and strength before putting a bar on your back. Before you start Tucson Barbell Club you will have to do a full evaluation with one of our coaches. We will schedule 2- 1on1 Coaching sessions to do a movement/mobility assessment as well work with you on the technique of the big 3 lifts. After the 2 one on one sessions are completed, and if you are in the appropriate condition, you can start lifting during one of our scheduled coaching times. We expect all lifters to warm up (We will teach you the appropriate warm up) prior to lifting. You will be given a program to work from and you are expected to lift on only Tucson Barbell Club approved programs. We will make the necessary adjustments to make sure your program is appropriate for you. Each lifter is required to keep a journal and log their training each week. These journals are the guide to make sure we are progressing you correctly. Some people show up early and others a little later in the Barbell club time slots. Most lifters will lift on their own pace. If you show up at 5:20pm for the evening barbell club there will be a coach on the floor till 6:15 so as long as you come in and get warmed up we will help you during that time. The main programming with modifications is included with with your membership dues. If you are looking to be on a highly specialized program we may charge extra for personalized programming, but that usually isn’t needed. We do charge a small coaching fee for meet prep, and meet day coaching. If you choose to compete as a part of Tucson Barbell Club we will guide you step by step along the way to make sure you are prepared for meet day, including the entire day of the meet. New times coming soon in beginning of 2019!